Pairing animals like Noah for his Ark. Tabitha's mom, Samantha, is my favorite fictional witch. Who's your favorite fictional witch? to be entered to win a virtual bucket of ebooks! and announced on October 30th. [I'm still looking for ebook donations too. Authors, if interested, please email me! Fictional witch? ( would be two) The Aunts in Practical Magic! Love them TOTALLY! Favorite witch in fiction, hhm? Probably... Agnes Nutter from Good Omens. I love Samantha!! But Willow and Tara are my favorites on TV and Rachel Morgan in print. 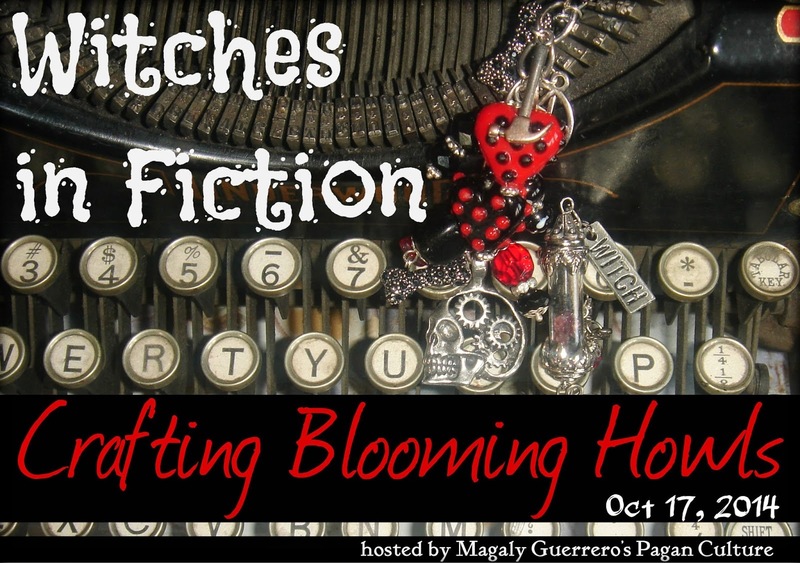 Stopping by from the Crafting Blooming Howls blog hop! I love the diverse sources of inspiration for this...nicely done! I love your poem Holly! Now I want to watch every single show (episode) and then read your poem again. Many times. Maybe read it to others, too. So that they, too, can remember that our weird is what makes us who we are. You go, Tabitha! :) My favorite fictional witch is Camille from Yasmine Galenorn's Otherworld series. 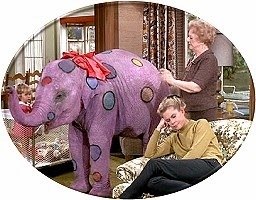 Aunt Clara, who is standing next to the elephant in the pic, is one of my favourite 'Bewitched' characters too! She was adorable! I've got the entire series on DVD. Two of the cats I had as a kid were called Samantha and Tabitha! So many fabulous fictional witches to choose from! Some of my favorites have been mentioned above. Oh my goodness me....elephant, elephant is the absolutely cutest. I love the background rollers. I did that one time when I was teaching.....a million years ago. Your poem was so very cute.....yes it would be a shame to separate besties. I know that you will know my answer about favorite witch before I even tap the keys.....the bad greenie from Oz. She is so good at what she does.....melting, melting. Good TV choice, loved Aunt Clara....I grew up to be Aunt Clara at times. 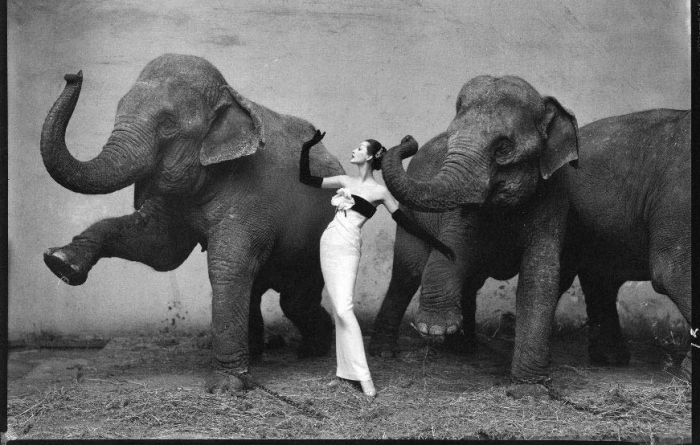 Dovima with the elephants? That's just a gorgeous bit of work there. 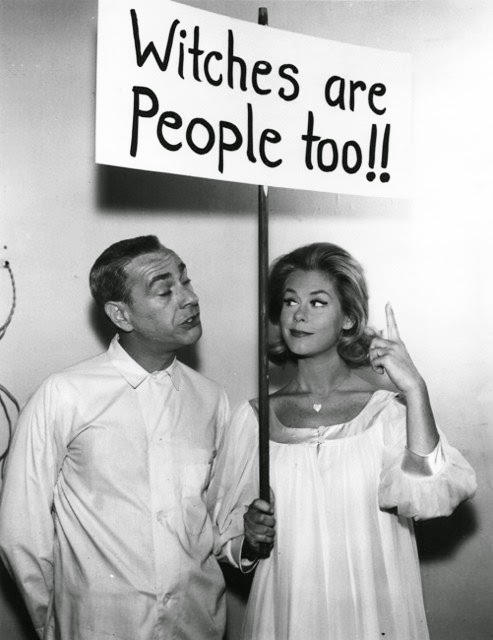 And yes, I admit, Bewitched had the first witch I ever had a crush on. I've actually never seen the polka dot elephant episode, for which I feel a little sad about. A wonderful post, full of wonderful things! I love that song. And now I have it stuck in my head again. Sounds kind of hollow in there. You dear, wonderful thing! 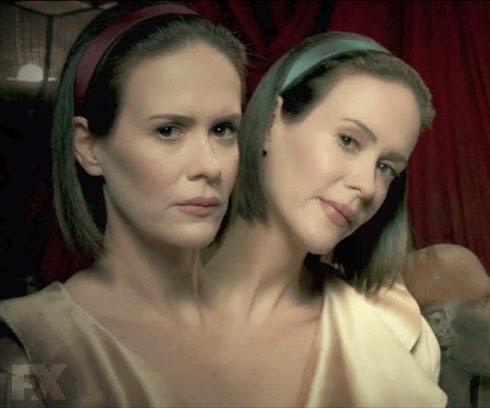 You put elephants with conjoined twins and witches! I am your fan for ever more! My favourite witch? Mommy Fortuna from 'The Last Unicorn". She's gratifyingly wicked! Probably my favorite witch is Mona Mayfair from Anne Rice's "Lives of the Mayfair Witches" trilogy and the last two entries to her "Vampire Chronicles," not counting the all new "Prince Lestat." 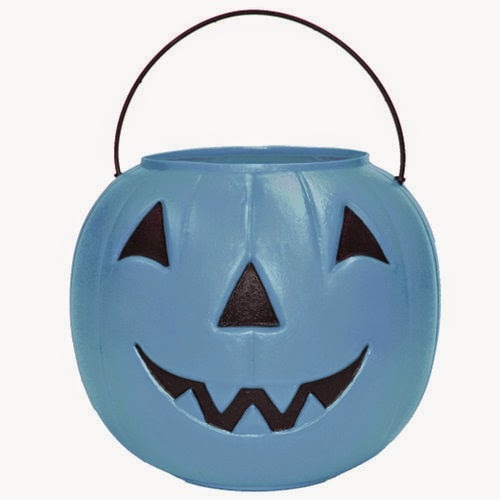 A Happy Halloween to you, Holly.